It's all about the location! Our proximity just off the M6/M74 corridor makes our border location ideal for tourists and business people alike. Our recently refurbished rooms offer comfort and style along with all the latest modern functionality. Our restaurant is popular with guests and locals alike. Where better to relax? 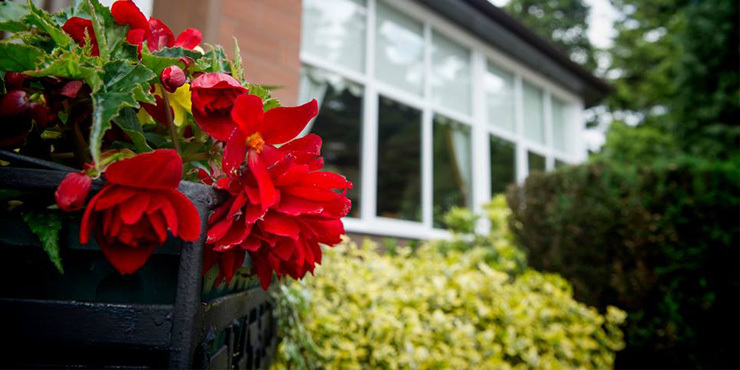 Our large, mature garden is a haven of tranquility. Perfect for weddings and events! Follow us on Facebook to keep up to date with all upcoming local events and community activities. A late Victorian mansion, Somerton House Hotel bears the distinctive red sandstone of many of the buildings within the town of Lockerbie. It has many unique features, none more so than the near extinct New Zealand Kauri timber that is generously utilised throughout. The design itself was by Alexander "Greek" Thomson and shows off his style and panache majestically. There are also links back to Scottish explorer David Livingstone with the apply named Lions, Stanley and Livingstone who guard the entrance. 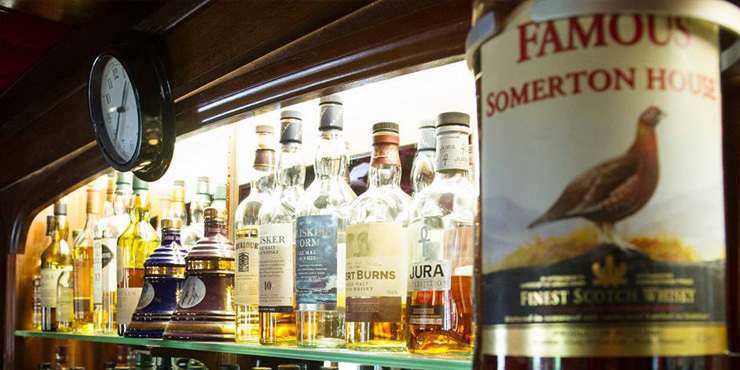 The hotel boasts free parking, a well stocked whisky bar, mature gardens and restaurant. Within the restaurant a full Scottish breakfast is served in the morning. 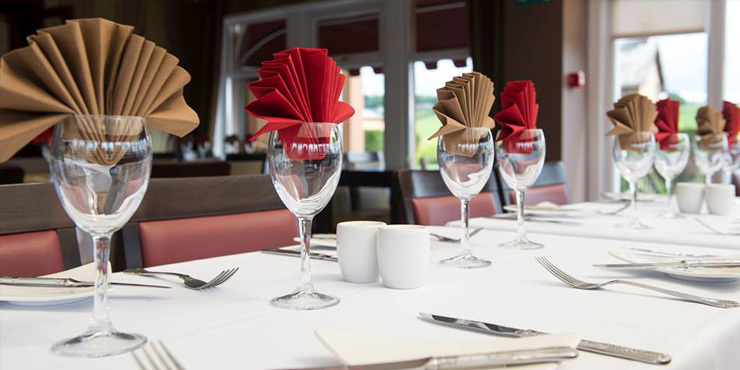 In the evening there is also an extensive a la carte menu which features the best locally produced steaks. All 14 rooms are elegantly furnished with en suite facilities, full free Wi-Fi coverage, LCD Smart TV's (to let you catch up on your missed favourites) and work desks. Book now via Booking.com - you can also read more independent reviews and comments via Tripadvisor. Make your reservation via our partners at Booking.com - a wide range of reviews are available to help you make your decision. "The hotel is exceptional value for money and delivers real, traditional service. An absolute delight!" All the latest information & offers straight to your inbox.